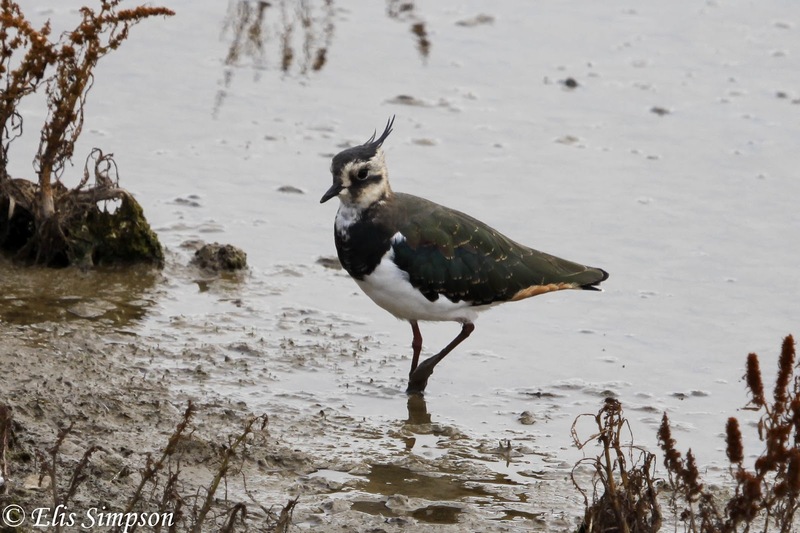 Wader Quest: Northern Lapwings in decline. On the first day of Wader Quest we had expected that the first bird we would see would be Northern Lapwing. After all we were about to drive for a couple of hours through the early winter British countryside passing through the fens on the way to Norfolk. 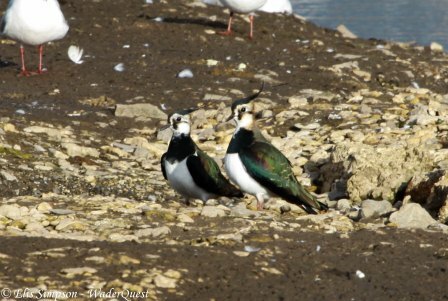 At the time I lamented the lack of lapwings and stated that this was exactly why Wader Quest existed, to highlight the terrible declines in wader populations not just in far flung exotic places, but right here at home too. This week as I was looking through my copy of Birdwatching Magazine I came across a super article by Kate Risely of the BTO on just this subject and was really pleased to see that this sort of information is being disseminated to the massed ranks of birdwatchers. Let's hope that more are moved to start supporting work to reverse this trend in declines. Kate talked about how the population size in the UK didn't look, on the face of it, too bad; breeding 140K, wintering 650K. She states that in her life time (and from the photo I'd say that wasn't very long!) the population has fallen by a half. 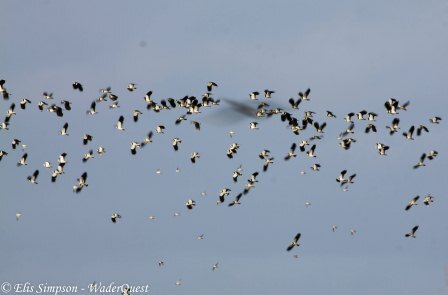 Incredible, half of all our magnificent lapwings gone! She states that the population was relatively stable in the 90s but since the population has declined still further with an alarming 18% decline in 2010 and 2011 alone! The blame for these terrible figures she lays firmly at the door of habitat loss and changes in agricultural practices. It is thought that lack of breeding success is driving the numbers down as the species needs a variety of habitats in which to rear its young, open ground for nesting and longer vegetation for hiding the young when they have hatched. These habitats are being lost due to cessation of rotation of crops and mixed farming practices. 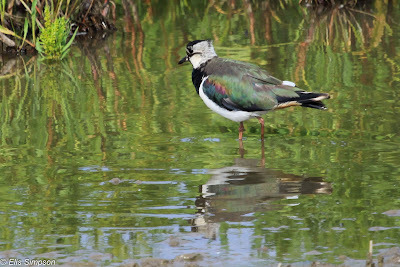 One of the methods tried to try and reverse this trend was getting farmers to leave something she called 'Lapwing plots'. These are areas of arable fields that are left fallow and unseeded for the birds to breed in, once the chicks are hatched they would then move to the nearby growing crop for safety. The BTO ran a project in 2007 to see if the idea worked. The results showed that it wasn't quite as simple as just leaving a plot unsown as only 40% of the plots were utilised. Factors such as the proximity of hedgerows or woodland were important considerations and the very size of the plots made a difference too. But at least now we know! That's surely the point of these surveys and it shows how very important they are. 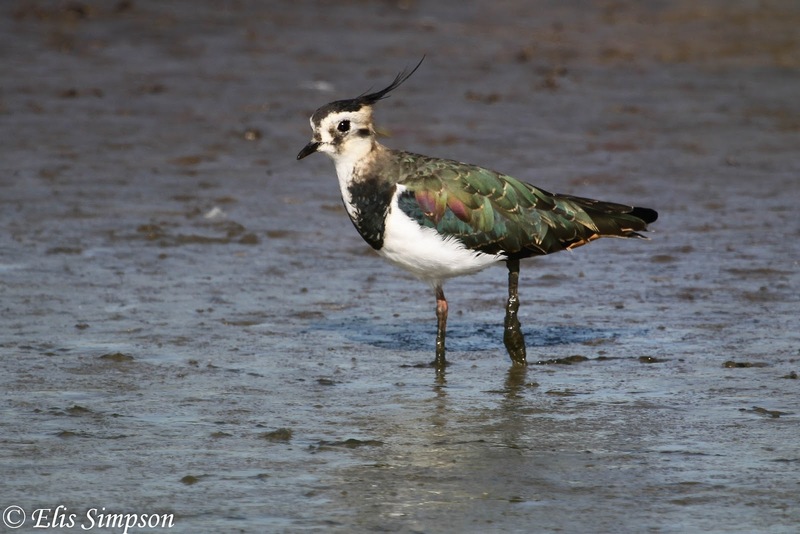 There is no happy ending to Kate's article, the situation she says is getting worse not just for lapwings but for other waders as well. Much more work and research needs to be carried out to ascertain exactly at what stage in the life cycle of these birds the declines are happening and then perhaps, armed with that knowledge, we will be able to devise some strategy to reverse this dismal situation. So when you read about our little jaunts with Wader Quest across the world don't just think what a lucky couple of *******s we are, think about why we are doing this, and this article sums it up rather nicely. Thanks Kate.